LAS BRISAS PROPERTIES is a local real estate , located in the heart of the famous Golf Valley of Marbella, just five minutes away from the famous Puerto Banus. Established since 1998, we have built a reputation for reliability and efficiency to all our clients, whether buying or selling properties. 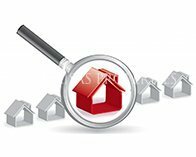 We offer our experience to reduce the search field to the options that best suit the ideal home for you. During the search process will offer our support to answer any questions you have, and we will provide all information and complementary services to ensure that your purchase is a happy experience. We have the support of a team of lawyers with knowledge of different languages, we are able to understand the needs of persons of any nationality who can assist you with every aspect of your purchase.